While engineers and technicians focus on the get-wells for the APU-1 heater system, other work at Launch Pad 39A has included a review into the Orbiter Mid Body Umbilical Unit (OMBUU), which showed signs of a H2 leak during the offloading of reactants from the Power Reactant Storage and Distributation (PRSD) system after the helium purge was activated. 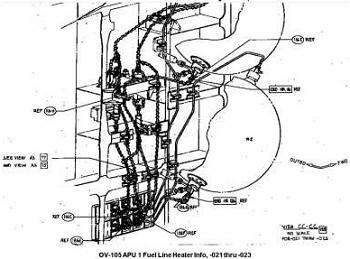 This was charged as the 56th Interim Problem Report (IPR-56) for STS-134’s flow, still a very low number for the amount of logged issues during an orbiter’s flow. Pad complex engineers are also evaluating leaks from the large sound suppression water tank. A test fill of the tank has provided a total system leak rate, which was found to be about 3200 gallons per hour (53 GPM), which the NTD noted is well within the normal accepted range. SCAPE (Protective Suits and safety restrictions) operations have also been completed to offload 1500 gallons of monomethyl hydrazine and perform maintenance on APU and HPU (Hydraulic Power Unit) carts at the Pad A Fuel Farm. Recent work on the APU-1 heater troubleshooting has revolved around the installation of the new ALCA-2 box – which was soon completed, less connector 55P320 on the system, given it was part of an engineering evaluation into the fault tree. 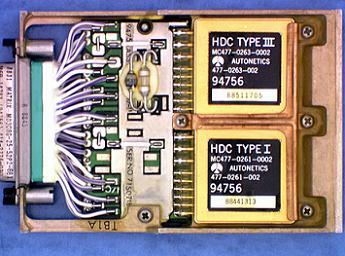 To date, the large amount of systems associated with the ALCA-2 box are undergoing the operation of retests. To date, the Hydraulics Circ Pump, has completed a Scan Retest, along with the Water Spray Boiler (WSB), Ammonia Burp, RJD Driver, OMS (Orbital Manuevering System) and the majority of the Main Propulsion System (MPS). While the removed ALCA-2 continues to undergo a forestic examination at the Kennedy Space Center (KSC) – with the failure on the A49 Type III Hybrid Driver clearly seen in photos of the dismantled box – the root cause of the driver failing is the key focus of the investigation. First notes of a potential short from outside of the ACLA-2 – which would require a larger investigation into the wiring in Endeavour’s aft – were noted midweek. 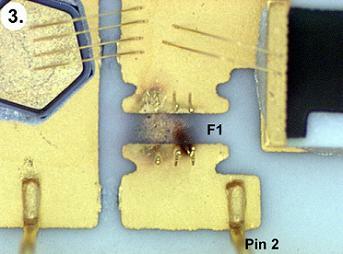 However, completed continuity, isolation, and hi-pot testing of the APU heater wiring, fed by connector 55P320, were classed as showing nominal results. This in turn led the Engineering Review Board (ERB) noting the status of the root cause as a “dynamic and fluid effort” as the incoming data drove the different troubleshooting paths. “The NSLD will be performing additional failure analysis on the driver inside the ALCA. Depending on what they find, they might be able to confirm whether the “short” experienced by the system is inside or outside the ALCA,” noted ERB notes (L2) ahead of a Noon Board meeting on Thursday. “Engineering is determining all active periods where the ALCA may have been powered up (Orbiter Processing Facility and Pad). Then they will perform data retrievals on switch scans, voltage measurements, and current traces on the subject system/wiring. Connector mate/demate history retrievals are also being pulled to determine if we possibly performed a hot mate/demate during troubleshooting. The results – which continue to lack of a definitive source for the cause of the driver failure on ALCA-2 – led to a decision to replace wiring which runs from the box to the heaters, along with two of the thermostats located on the B heater leg. Known as Option 2, the additional work is the main cause for the latest launch date target slipping out to NET May 16. Work, however, has already begun on the task of replacing the wiring/cables, with updated status noting access to Endeavour’s aft for the effort began at 3am Friday morning (local time), with engineering work picking up at the Avionics Bay at 6am. At time of publication, techs were also working to provide additional power to the heater testing, using nicolet recording to verify current draw from the system. The latest plan also involves routing the new heater cables/wires on the outside of the existing clamps within the Avionics Bay. The decision to carry out the replacement of wires and thermostats will provide additional mitigation against a repeat failure, especially if an external short was the reason for the issue with the A49 Type III Hybrid Driver – in turn protecting the replacement ALCA-2 box in the event of similar occurrence. Further updates will be provided as information arrives. (All images via L2, plus lead image via NASA.gov. Extensive coverage is being provided on the news site and forum, driven by the L2 special sections – which includes a large APU-1/LCA troubleshooting update area, from which this article was created from. Further articles to follow).